Originally conceived by the president of the A.W. Mellon Foundation, JSTOR is a pioneer effort to help libraries by converting the back issues of paper journals into electronic formats (pdf) and improving access to the journals content. This website shows great care to retrieval strategies and source format, covering both multidisciplinary and discipline-specific collections. 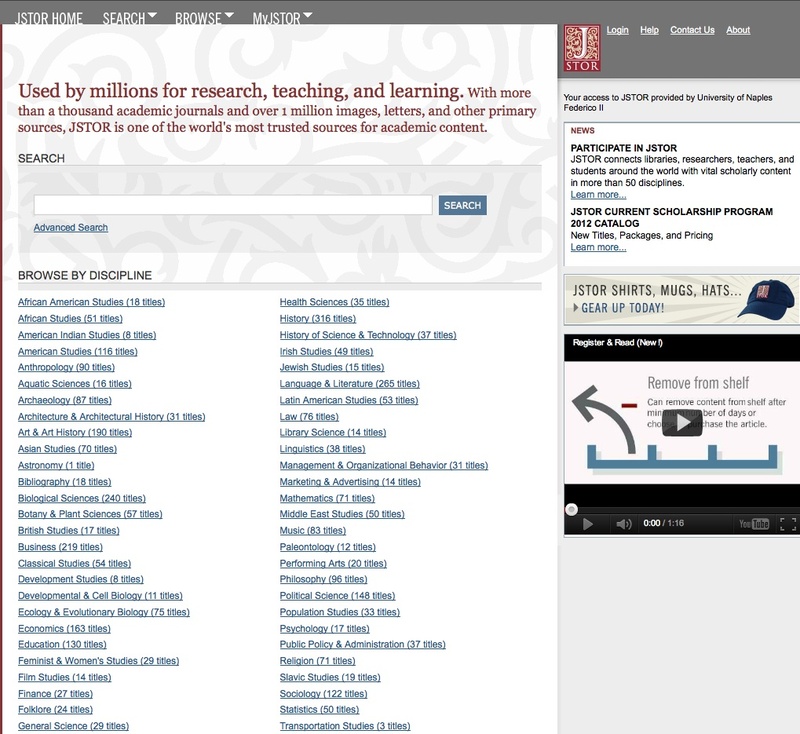 Access to the full JSTOR database is available only through affiliation with a participating institution (generally, academic associations and libraries) but in some instances independent researchers can access specific titles provided by participating publishers. JSTOR operates as a not-for-profit organization, offering access to journals in a range defined as a “moving wall”, which consists of a fixed period of time ranging generally from 3 to 5 years from the most recent issues available in JSTOR. The database also hosts the complete collection of the American Political Science Review in pdf format online, which can now be accessed by Apsa members on an individual basis, with an additional charge. The site description and other pages are available in several languages beside English, including Chinese, Spanish, and Italian. The overall outline is simple and effective, with several Help Topics very useful, especially for unexperienced users.